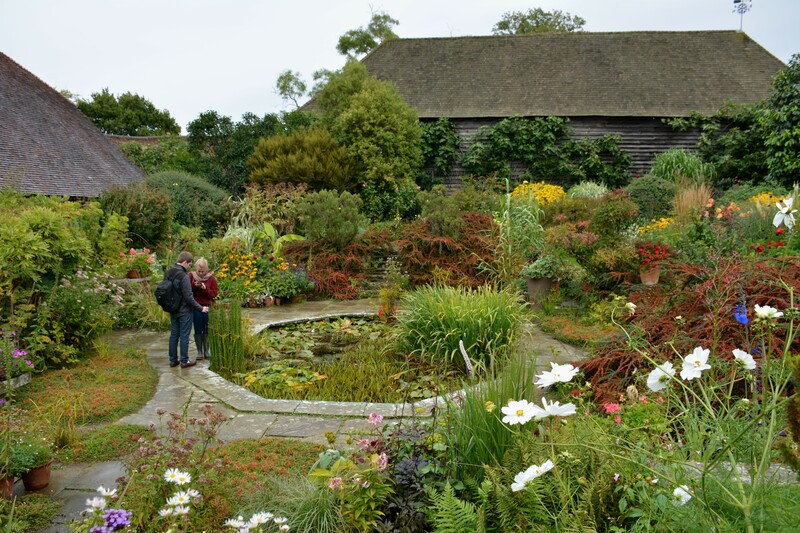 In September, there’s no better garden in England than the one at Great Dixter, the family home of gardener and garden writer Christopher Lloyd (1921-2006). 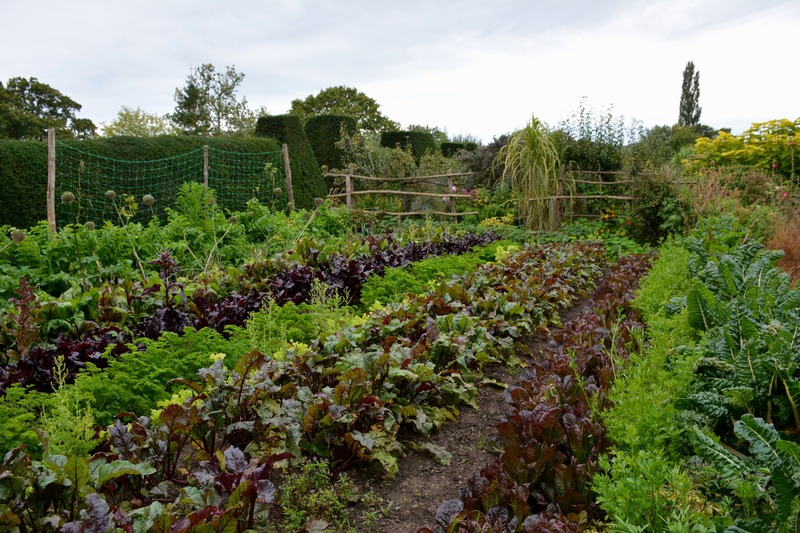 Today, the garden is cultivated in the spirt of Lloyd by Head Gardener Fergus Garrett and a team, including interns, which never hesitates in a forward-looking approach that embraces new plants and fresh ideas. 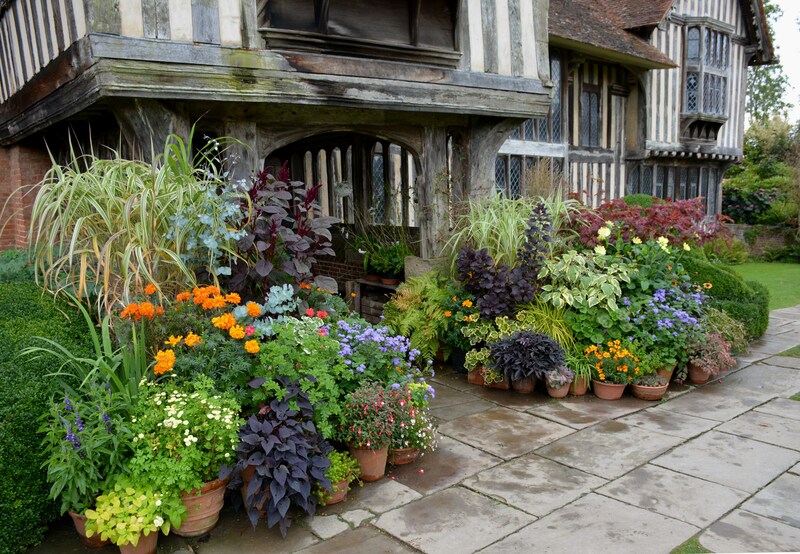 In today’s garden column in the Greenville News, I use Great Dixter’s pot displays as a lead in for information on creating fall containers, so it’s the perfect time for a closer look at this iconic garden. Details and a map of the garden can be found on Great Dixter’s website, but here, I would like to let the photos speak for themselves. Enjoy! Pot display at the home’s front door. The Sunk Garden and Barn Garden looking towards the house. The Sunk Garden and Barn Garden looking towards the White Barn. The Sunk Garden and Barn Garden looking towards the Meadow Garden (beyond the yew hedge). The Walled Garden looking towards the enty into the Sunk Garden and Barn Garden. 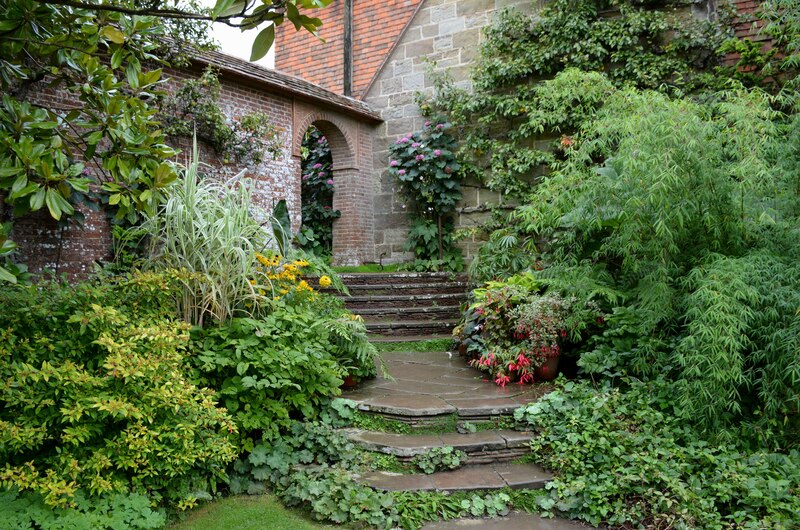 The entry from the Walled Garden into the Blue Garden. 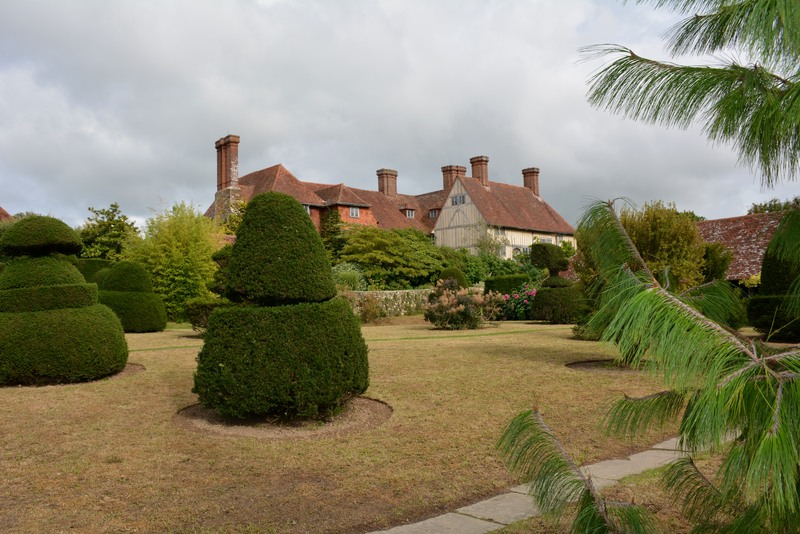 Exiting the Nursery, looking across the Topiary Lawn towards the house. The stairway entry to the Exotic Garden. The Long Border seen from the Orchard. 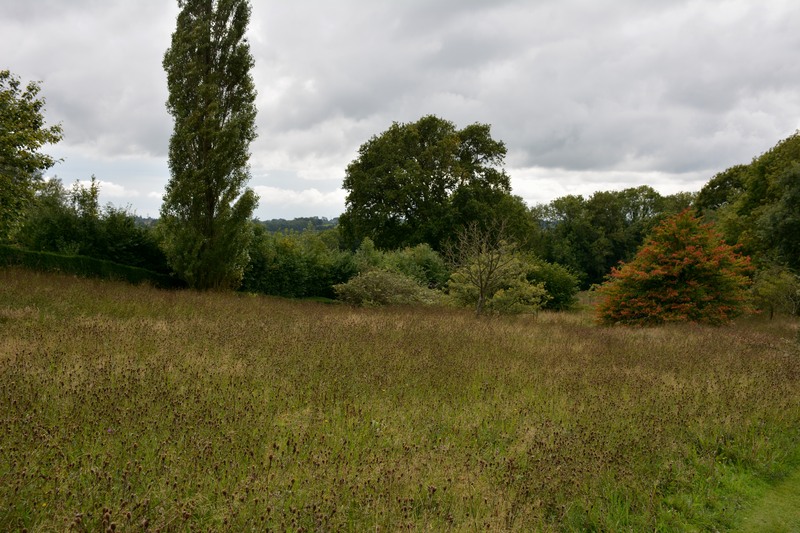 The grass and meadow of the Orchard from the Long Border. The vegetable area within the High Garden. Overlooking the Peacock Topiary from the High Garden. 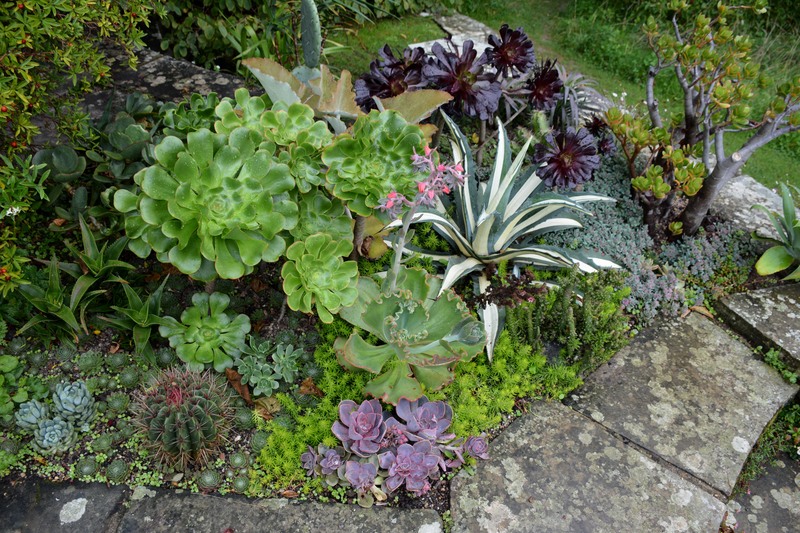 This entry was posted in Garden Tours, Garden Travel, Gardening and tagged Great Dixter on September 26, 2015 by Marian St.Clair. What a shame you didn’t have a better day for enjoying the garden, one of my favourites! Christina–We only had a few sprinkles on arrival, so we were very happy with the weather. Great Dix was on the last day of our trip and it was all sunshine until then. We were so lucky! Thanks for bringing back the memories. Looks like you had a grand trip. Envy, envy, envy. John–September is such a beautiful time to travel in England. The gardens are still lovely and yet nearly empty because the high season is past. Carolyn–Everyone falls in love with Great Dix. It is an amazing garden. 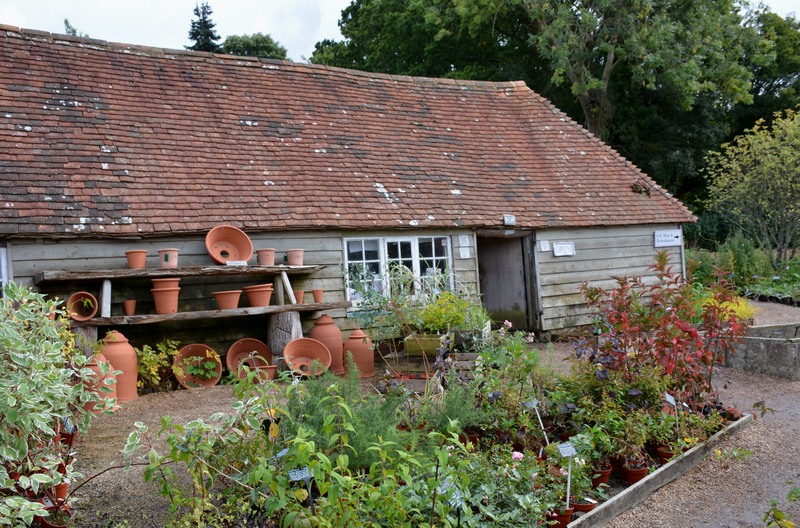 What I would give for a day at Great Dixter with you as a guide,followed by a couple of hours in the nursery sales shop with a credit card and an inexpensive way to get it all home! Beth–Sadly, there is no way to bring plants home…not even seeds, which seems terribly unfair. But I would love to spend time with you at Great Dixter. 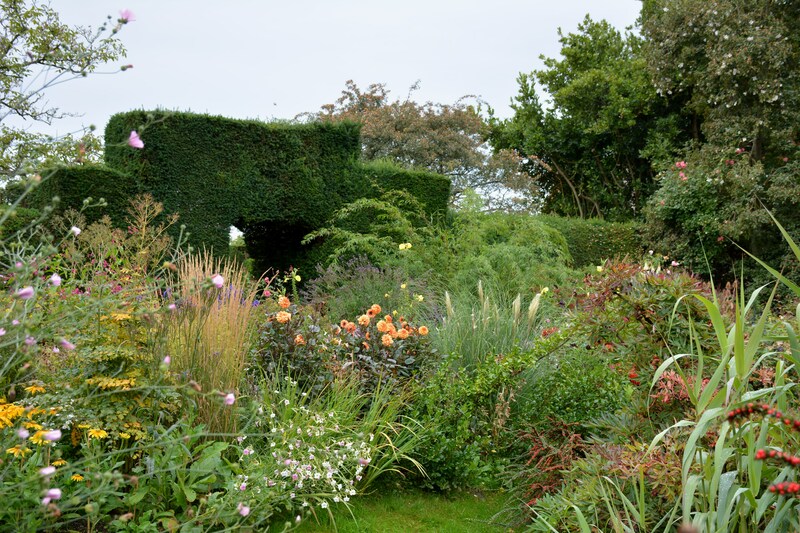 Let’s pick a late summer/early fall day (it is truly the best September garden I’ve ever seen) with a light cloud cover for great photos, and enough chill in the air that Fergus lights the fire in the great hall. Doesn’t that sound perfect? Enjoyed this so much. Saw Jo Franklin the other day. We are very interested in your future trips. What do you have in the “pipeline” or is it too soon to ask. ? Harriet–Yes, things are already in the works for 2016! I loved the June day in Wales in this year’s Gardens of the North, so I’m putting together a tour to Central and Southern Wales plus a bit of the West Midlands of England for June or July. There will also be a late August/early September trip. Do I have you on my mailing list? If not, send me an email at marian.stclair@gmail.com. 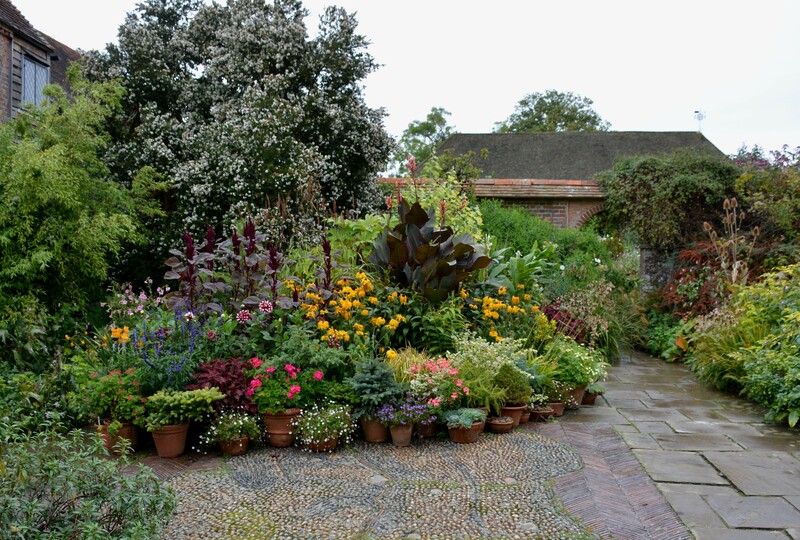 Gt.Dixter is a wonderful garden and those pots by the front door are just magnificent! 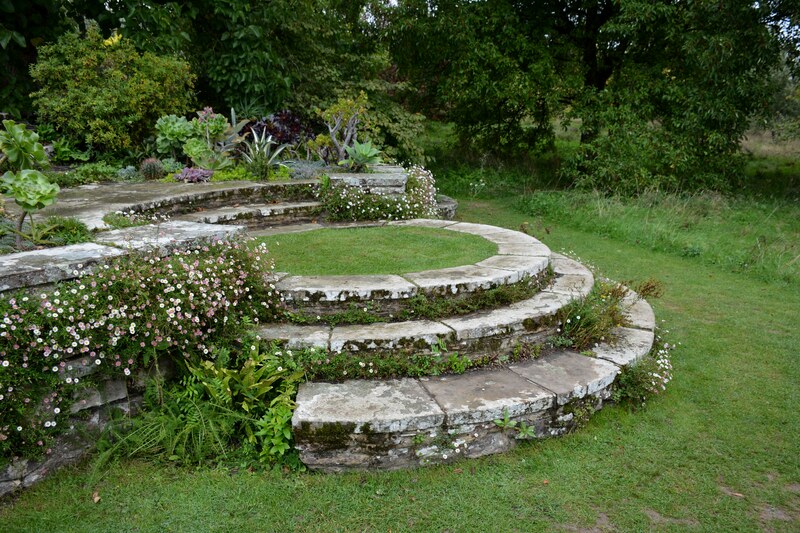 It is a long time since I have been, so must put it back on my list of gardens to visit! Oh, this must have been wonderful to see. I like your two replanted pots. Nice job. Susie–Well, my pots are spare offerings in comparison, but I see and enjoy them every day. Thanks for reading the column! Loved all your photos Marian. Now I am even more determined to get there! Jessica–The two of you would love it! You should make it an overnight trip; you need to give at least a half day to the garden so you can really relax into it, plus there’s so much in the area to enjoy. 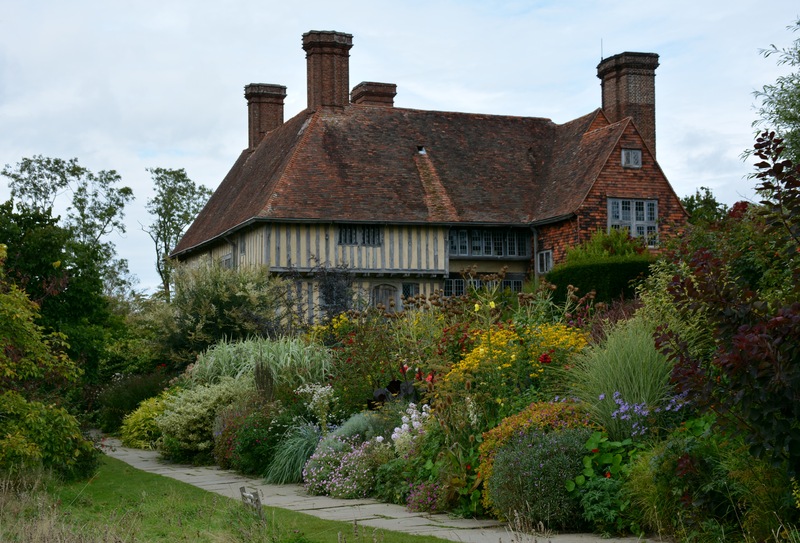 We loved Great Dixter! Our favorite garden in the UK, I think. Of the ones we saw, anyway. And I also really admired the pots and how they were grouped together to make a whole greater than its parts. Jason–I can see how this garden would suit you. Part of the beauty of Great Dixter is that everyone finds something to love. Our aesthetics are very different, but we both agree this garden is at the top of the top. The stair way entry to the Exotic Garden is beyond wonderful. Great pictures, and would love to see even more! I went today to a container garden workshop up at Montrose Gardens in Hillsborough. Except for the constant rain/drizzle it was great, informative and always good to see Nancy and Craufurd in their element! Libby–I’ve been to Montrose a few times in summer, but would love to see the woodland in spring. Sounds like a fun day, even in a drizzle. Certainly better than cleaning closets, which is what I’m doing this weekend! Loved all of your photos Marian, especially ‘overlooking peacock topiary’ , it looks as though you had a really peaceful visit too away from the endless crowds. Julie–Other than my group, there were only a handful of others. We arrived in mid-afternoon, however, when gardens are typically less busy. I’m good at waiting out people for a photo, but I’ve learned those with people are not necessarily a bad thing. For instance, the one here with the young couple provides scale for the garden. Too bad they are looking at a phone rather than at each other, though! 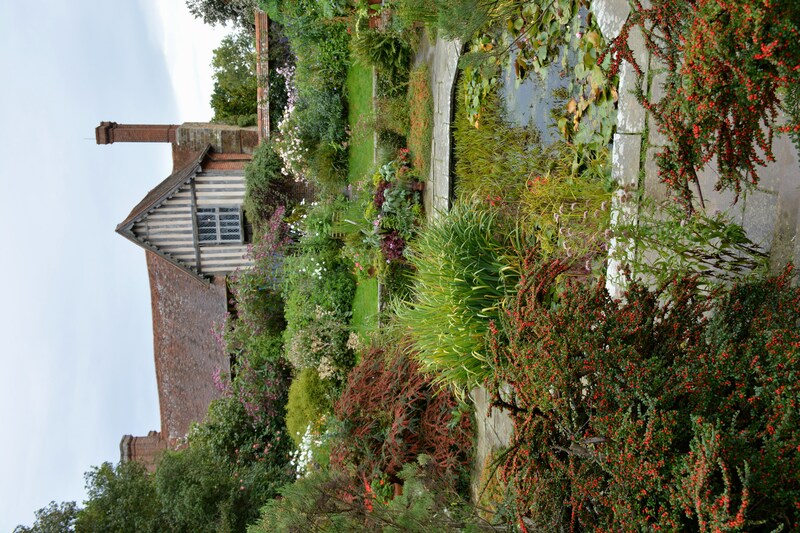 I love the gardens of great dixter. They are usually so full of people – it must have been lovely being able to visit in relative peace and quiet! Matt–It was lovely to almost have the garden to ourselves (there were 25 in my group!). But more importantly, we had a fabulous guide who really brought the history of the home and the life and work of Christopher Lloyd to life. It was an amazing visit. I really hope to visit this garden some day. Lucky lucky you! 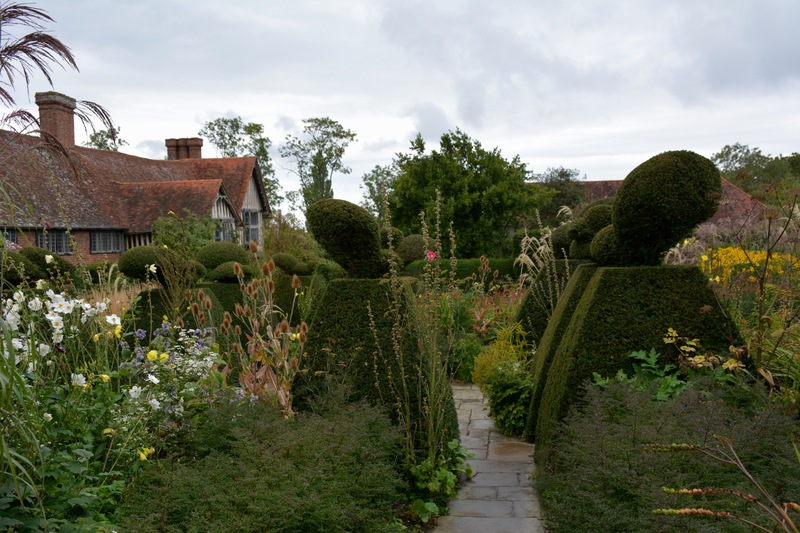 Tammy–Yes, Great Dixter is a must see for you especially. Check out the week-long symposia with Fergus on the website. We should do one of those together! I was so excited when I saw the title of your post. 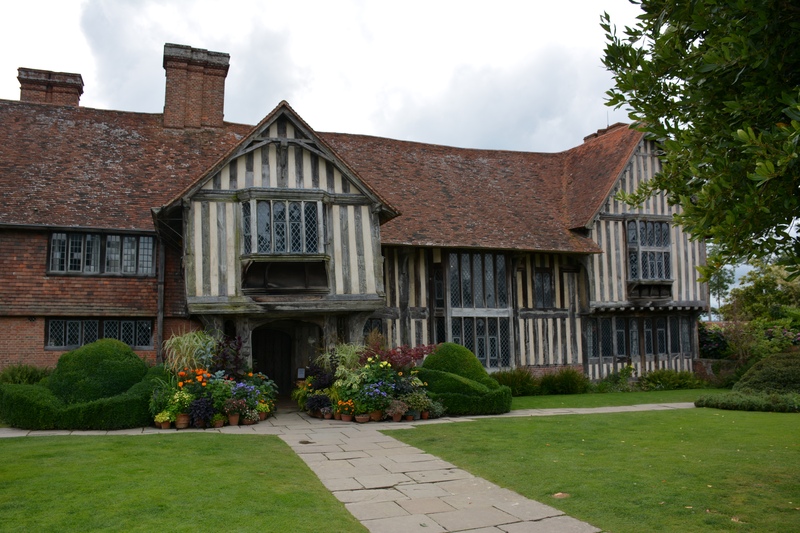 We were planning a short trip that would have included Great Dixter just before Felder left for home, but the week of the trip the weather was shocking, so we reluctantly decided to delay it till next year. It seems to have been the perfect conditions for photography: I love these pictures. I can’t believe it’s so quiet either. The one of the long border is an absolute classic and I like the subtle details in the grass and meadow shot. It’s a small thing but I’ve been admiring how straight you’ve got the lines on the house. One of my weaknesses is holding my camera crooked in my excitement at whatever is in front of the lens. Susan–You caught me! In truth, my photos almost always dip to the left. So now, when I remember, I check the vertical lines before taking a photo. If that fails, then it’s edit and crop. I’m excited to hear the two of you are planning a trip to Great Dixter. Do you know Fergus? Even if you don’t, send him an email and let him know you are coming…the team is always very welcoming. No we don’t but that’s a great tip. The gardeners and interns felt “joyful” and “privileged” in their work. One of the best gardens I have ever been in. Martha–Agreed! And our guide really added to the visit, don’t you think? Your photos are amazing–all the layers of beauty! The lighting was perfect, even if the weather wasn’t perfect. Sounds like it was a great experience! Beth–You are right! Complete cloud cover always make the best photos. Give me a drizzle rather than bright sunlight any day! Looking at these beautiful photos and this fabulous garden, I feel like I am in a dream…one that actually came true!!! So happy, thankful & blessed to have experienced this phenomenal garden with You! Having an intern gardener give us a tour added so much to our visit and I loved going inside the manor house and seeing where Christo actually lived & worked. Amazing day! Sharon–It was a great trip in general, but I do believe we saved the best for last!